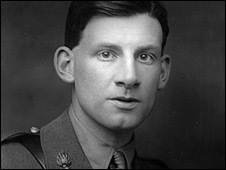 The archive of World War I poet Siegfried Sassoon has been delivered to the Cambridge University Library after a campaign to raise £1.25m. The library bought the collection after a successful fundraising drive - helped by a £550,000 grant from the National Heritage Memorial Fund. The archive includes a manuscript of Sassoon's statement refusing to return to duty after being wounded. The collection was retained by the poet's son until his death in 2006. The poet, whose work captured the futility of war, died in 1967. He was commended for acts of bravery during the war. The collection includes the diaries Sassoon kept on the Western Front and in Palestine between 1915 and 1918. It also features notebooks ranging from records of his schoolboy cricket scores to post-war journals tracing his turbulent personal life and the progress of his literary career. When the archive came on the market last year, Cambridge University Library was immediately identified as the most suitable home for the collection. Sassoon was an undergraduate at the university and became an honorary fellow of Clare College. University librarian Anne Jarvis said: "We are delighted to have secured the future of the Sassoon archive, and to be able to make these extraordinary documents available in the University Library." Other organisations which helped fund the purchase of the collection included the Monument Trust, the JP Getty Jr Trust and Sir Siegmund Warburg's Voluntary Settlement. Author Sebastian Faulks, whose acclaimed novel Birdsong revolves around soldiers' experiences of World War I, said: "This is a major coup for Cambridge University Library, and the papers will be of huge benefit to scholars both of literature and of history."